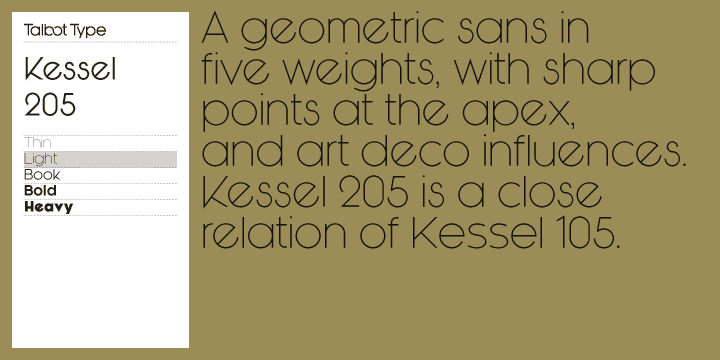 Great launch offer on Kessel 205, designed by Talbort Type, over on MyFonts at the moment. 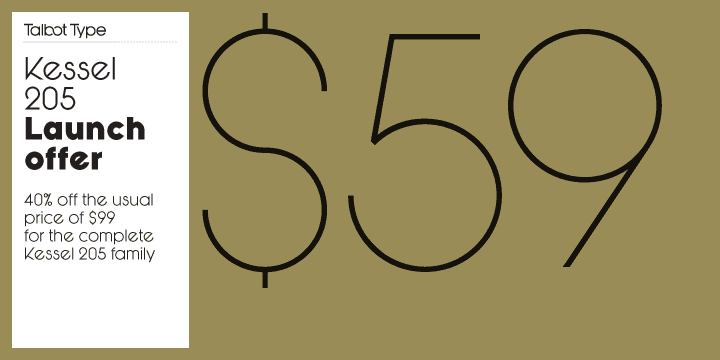 Pick up this great geometric style font for only $59 which includes 5 weights: thin, light, book, bold and heavy. It’s not a million miles off from CodePro by FontFabric, but Kessel is wider and has that tilted lowercase e which you see from time to time. MyFonts: Kessel 205 is inspired by the classic, geometric sans-serifs such as Futura, but has shallower ascenders and descenders for a more compact look, and features an art deco influence with sharp points at the apex of many characters, lowered crossbars and an oblique crossbar on the lower case e. It’s a versatile, modern sans, highly legible as a text font and with a distinctive, elegant look as a display font at larger sizes. The Kessel 205 family comprises of five weights and is closely related to Kessel 105. Type Hero is where I pick out certain fonts and typefaces that I find particularly cool. For the most part the font choices will be geared towards styles that I feel could work well in a logo design. MyFonts has become a steady source of font inspiration, so many will be sourced from there, but I will also highlight fonts direct from font foundries when possible. 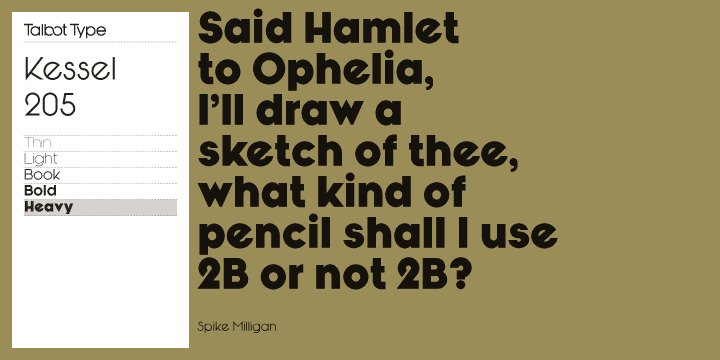 I also have or have recently purchased all Type Hero fonts, so I am talking the walk and walking the talk.